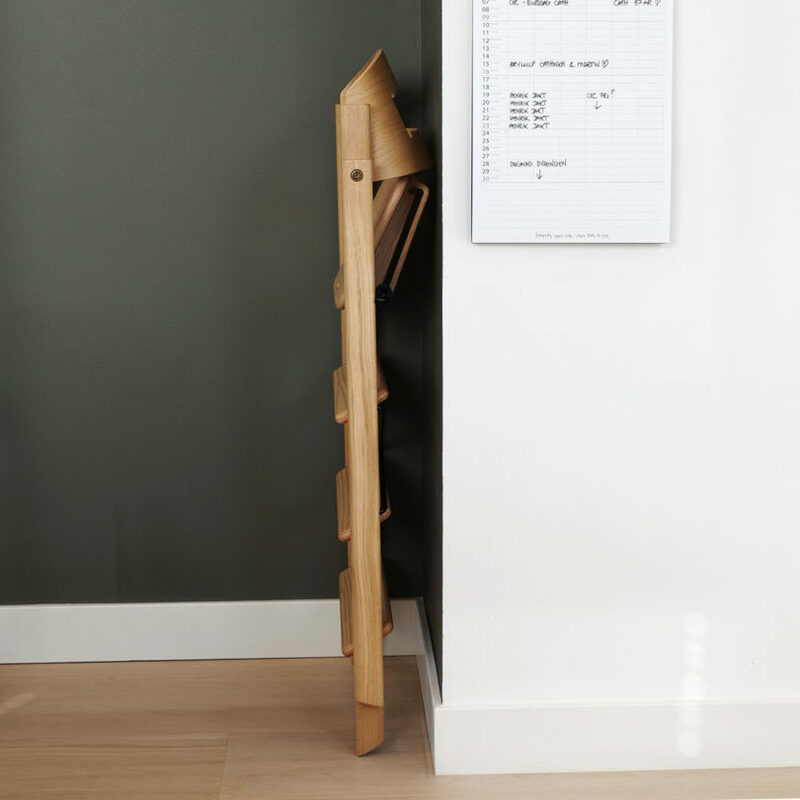 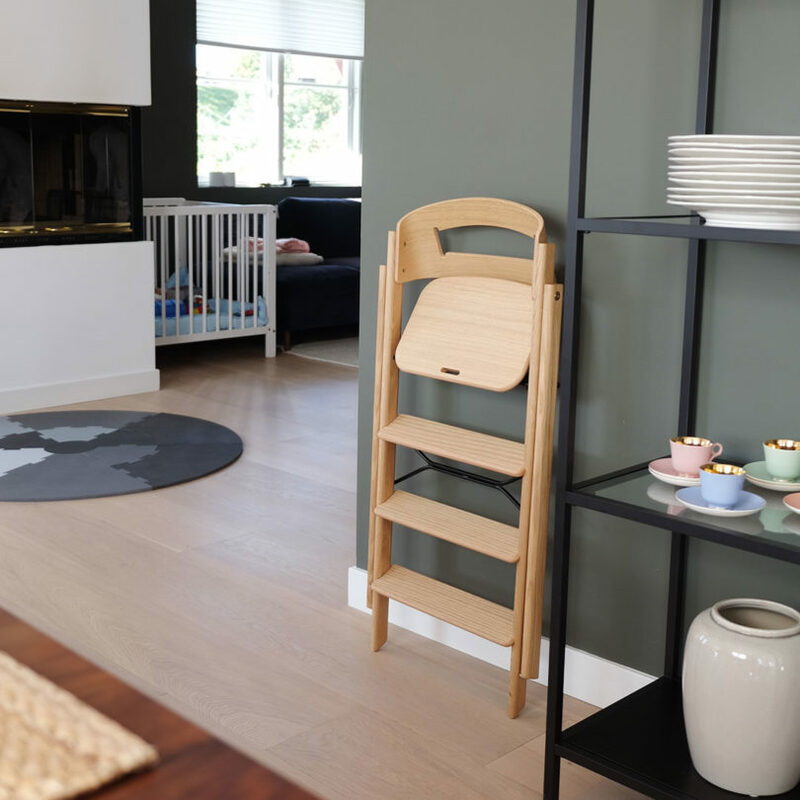 Norway-based brand KAOS, known for their Scandinavian designs and affordable prices, is gearing up to launch their latest product, the Klapp designed in collaboration with product designer Ole Petter Wullum. 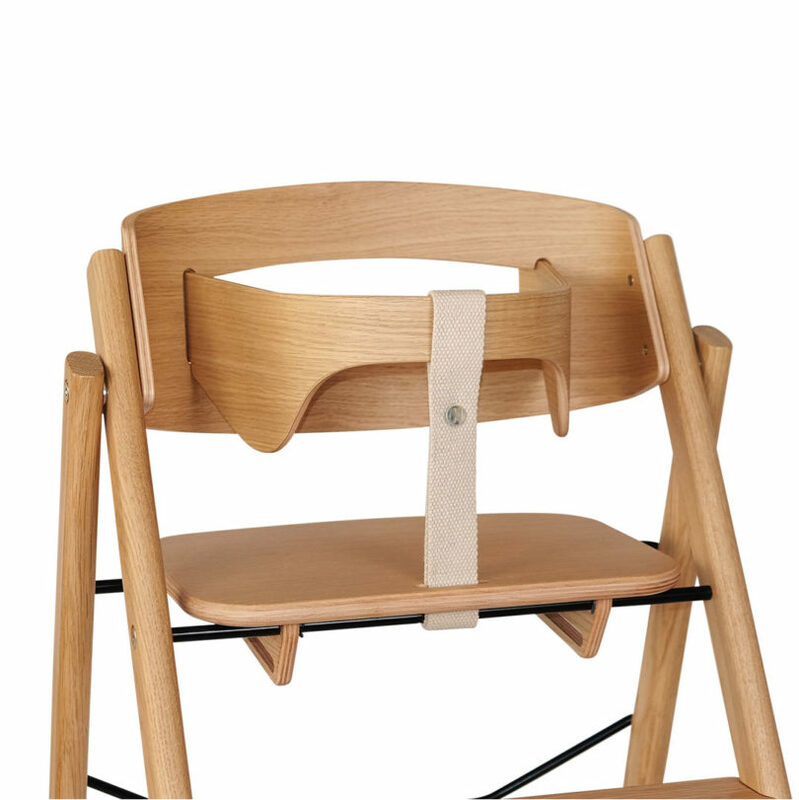 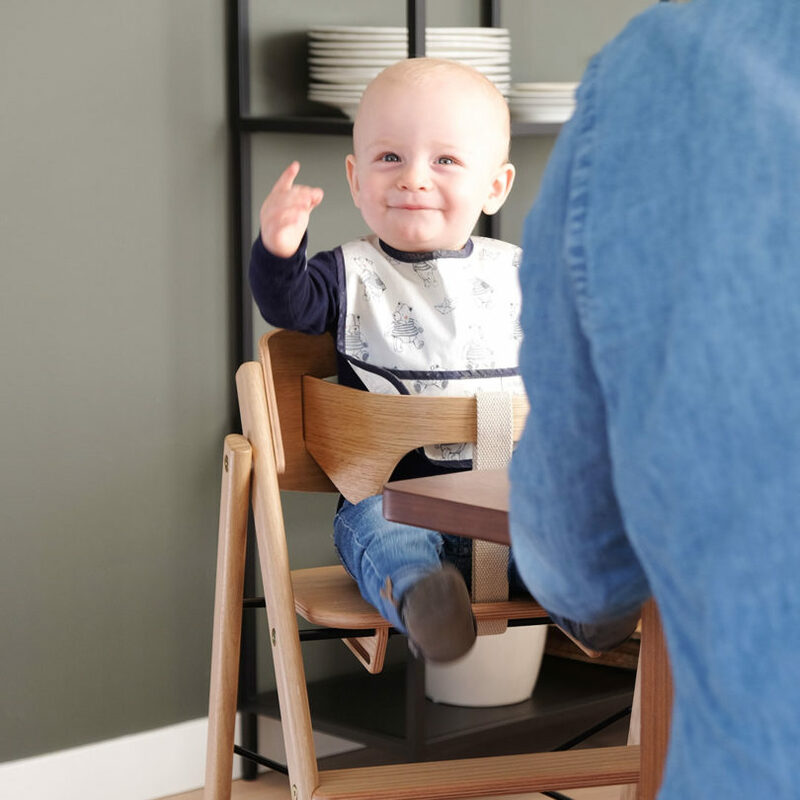 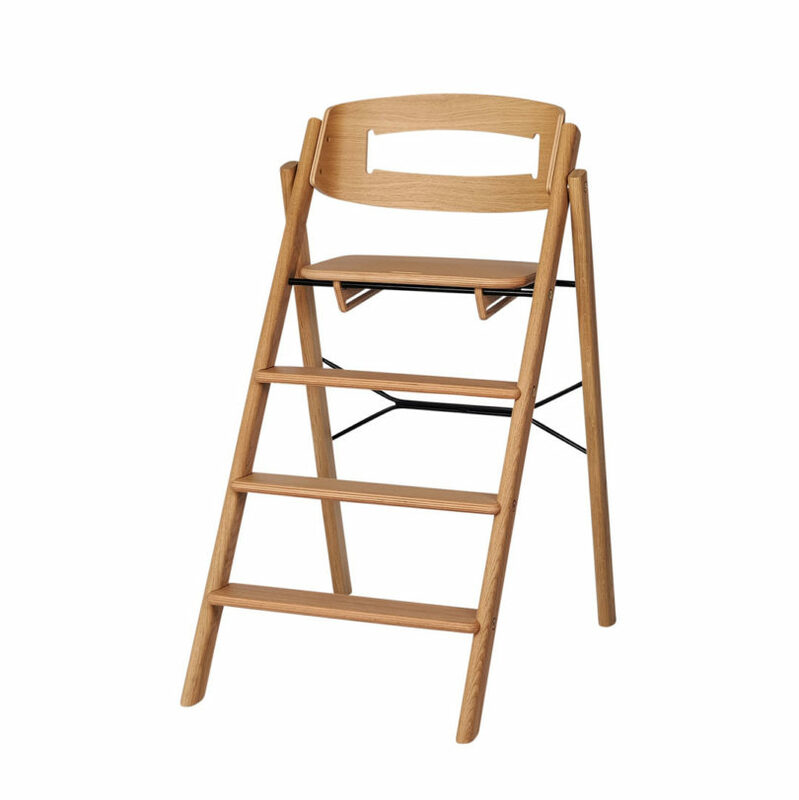 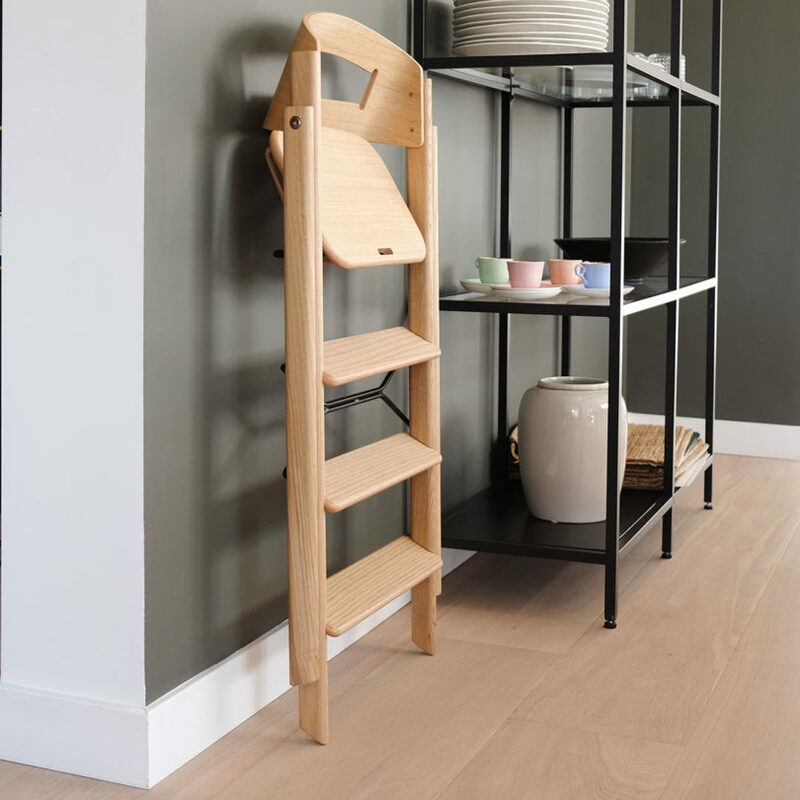 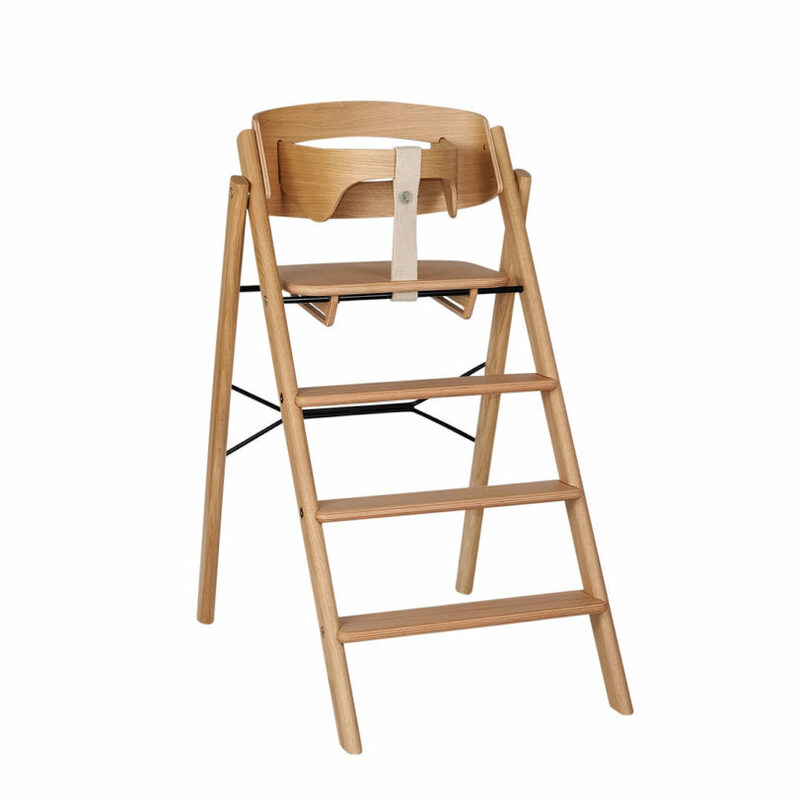 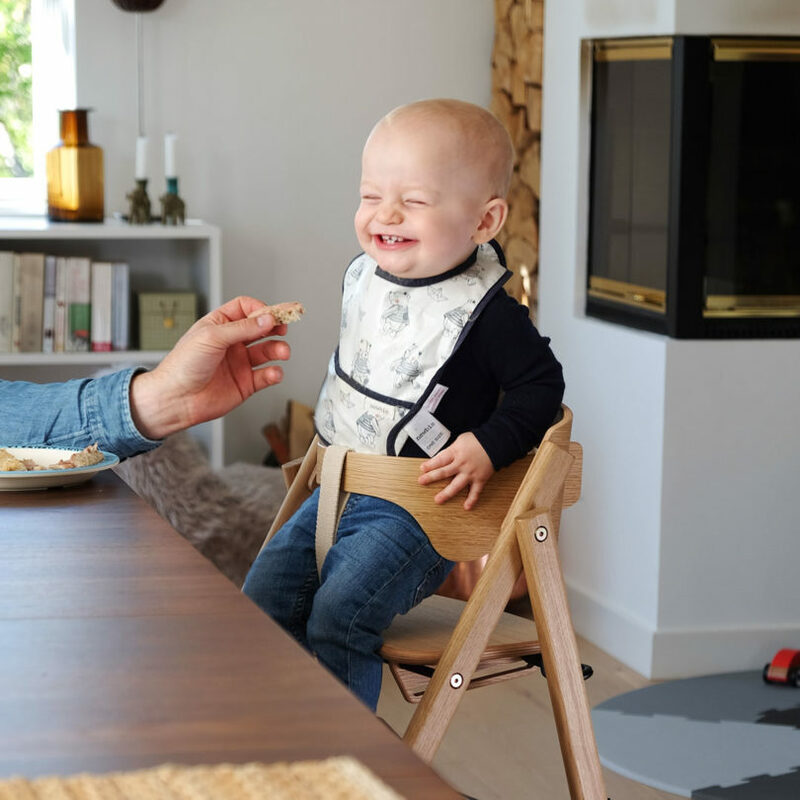 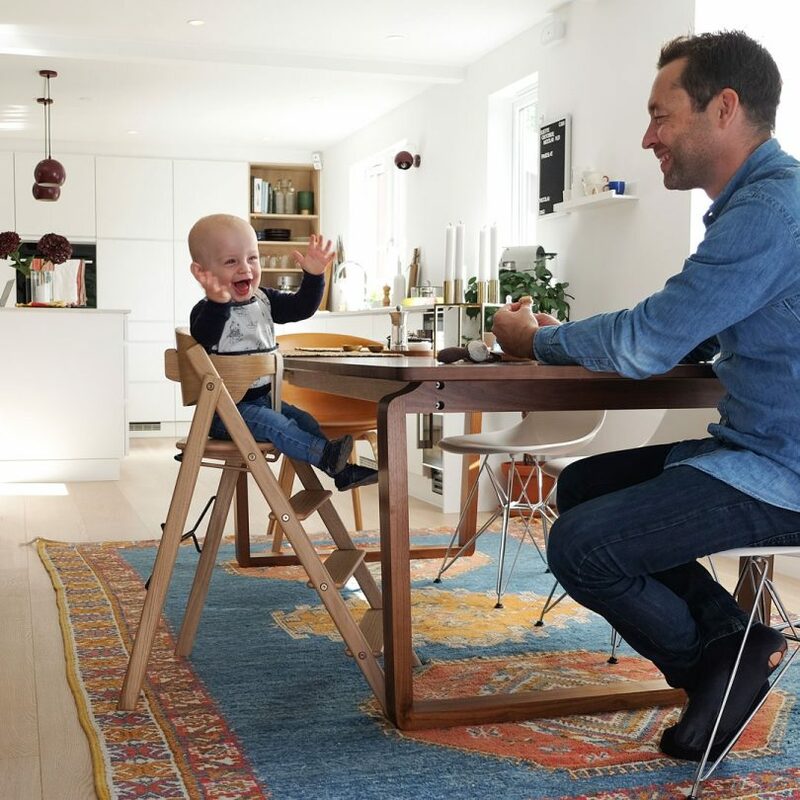 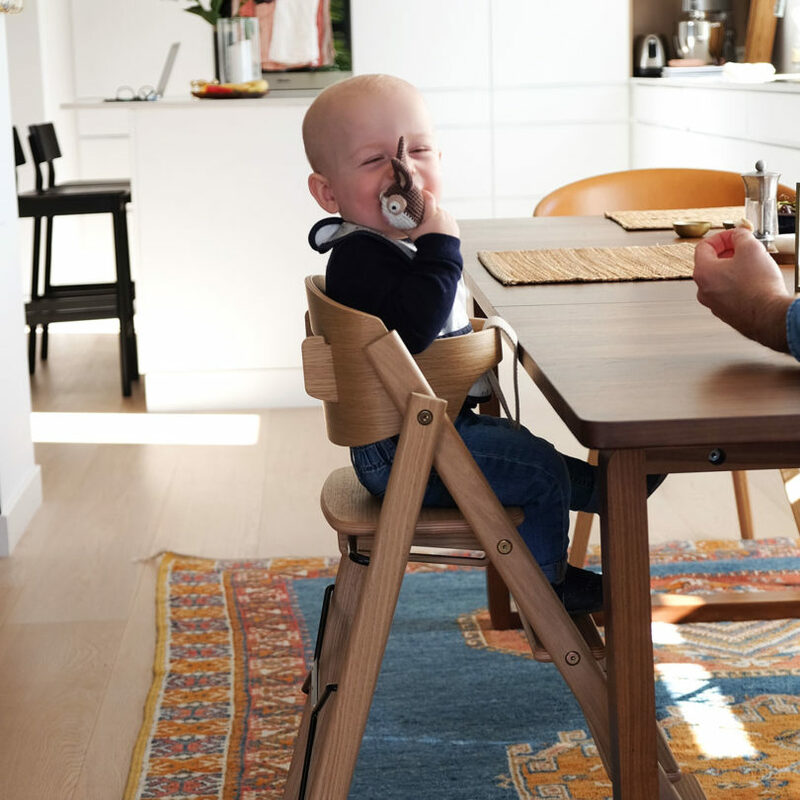 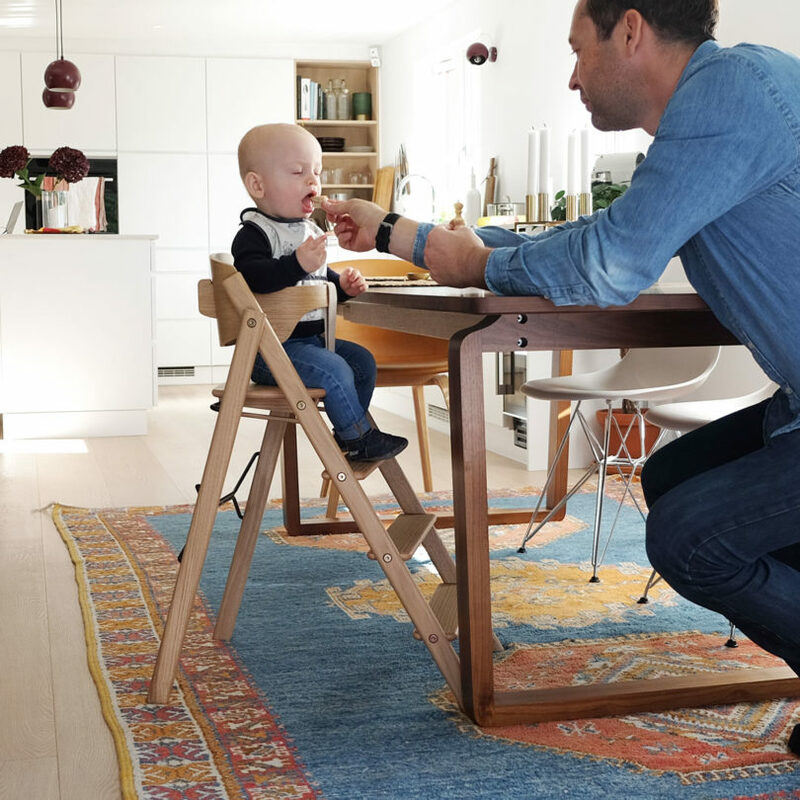 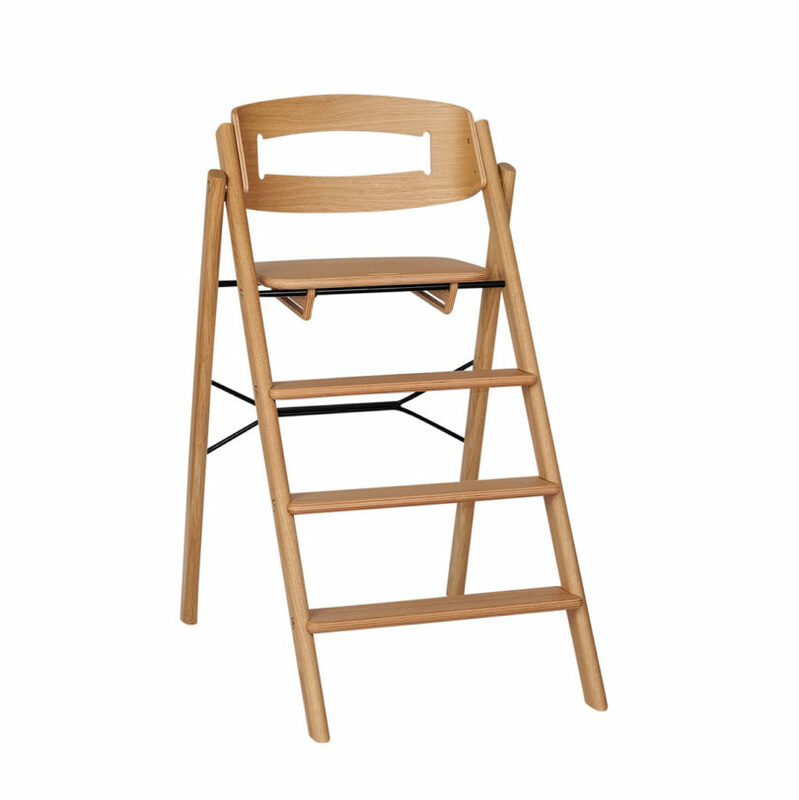 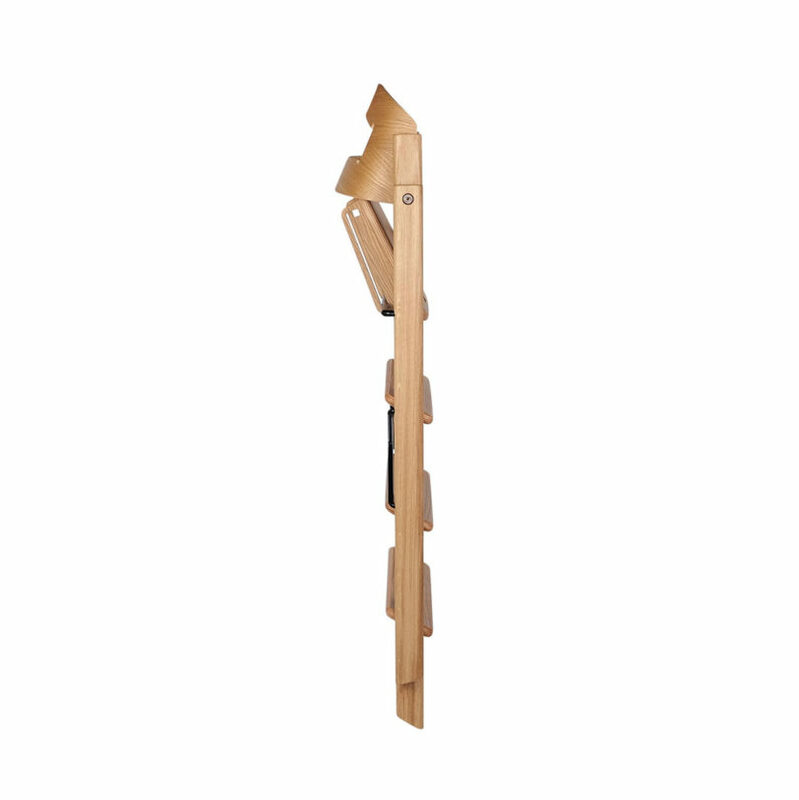 Available in solid oak and oak veneer in three color ways, this high chair folds up into a slim profile for easy storage and features step ladders that allow kids to climb up and down themselves. 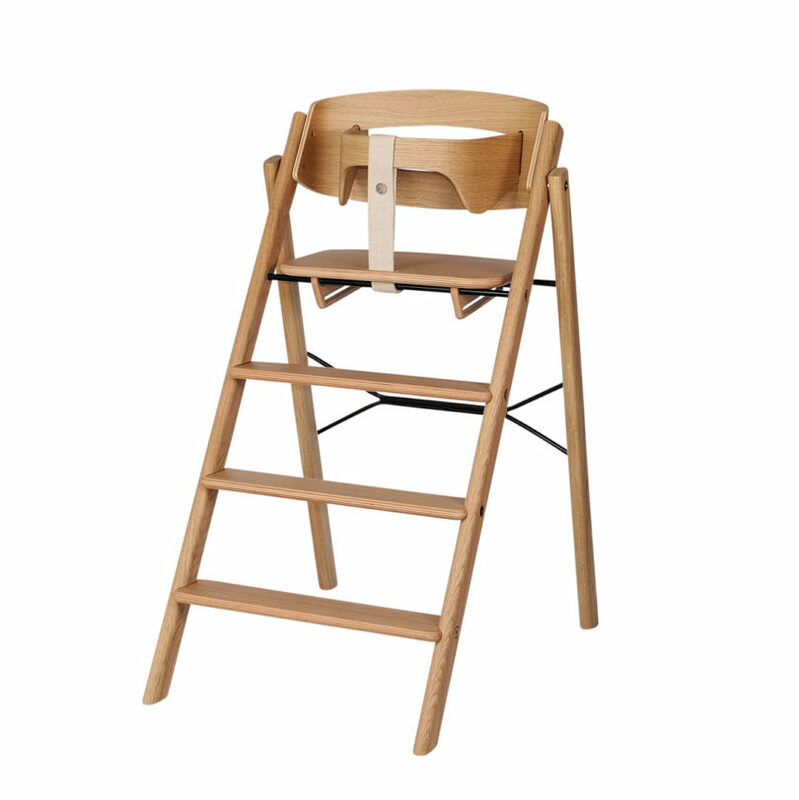 An optional safety rail can be added for younger kids as well. 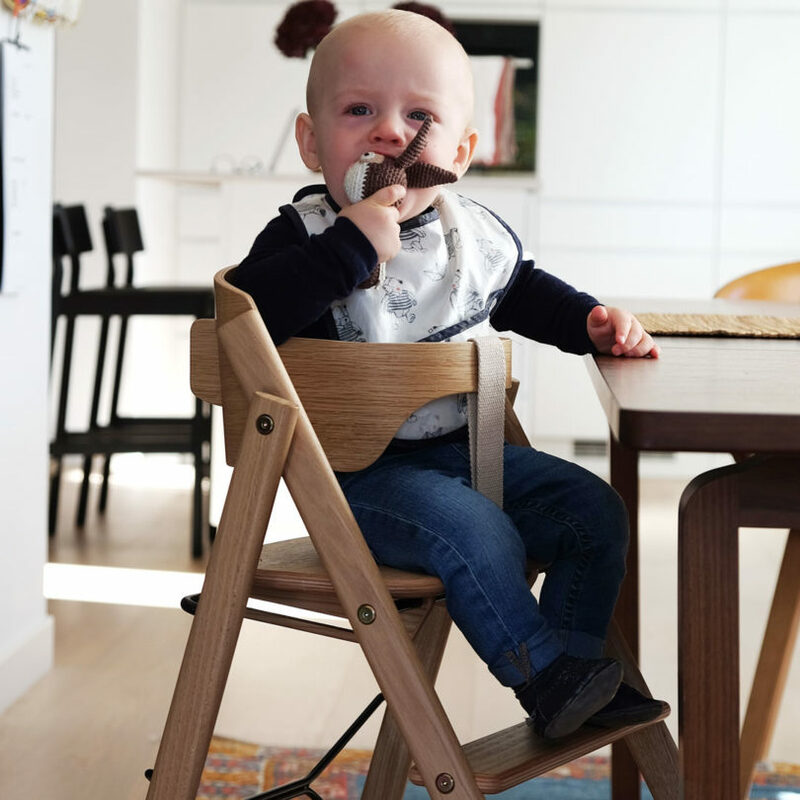 The endeavor to create a high chair that looked elegant and met all regulations started in April 2014. 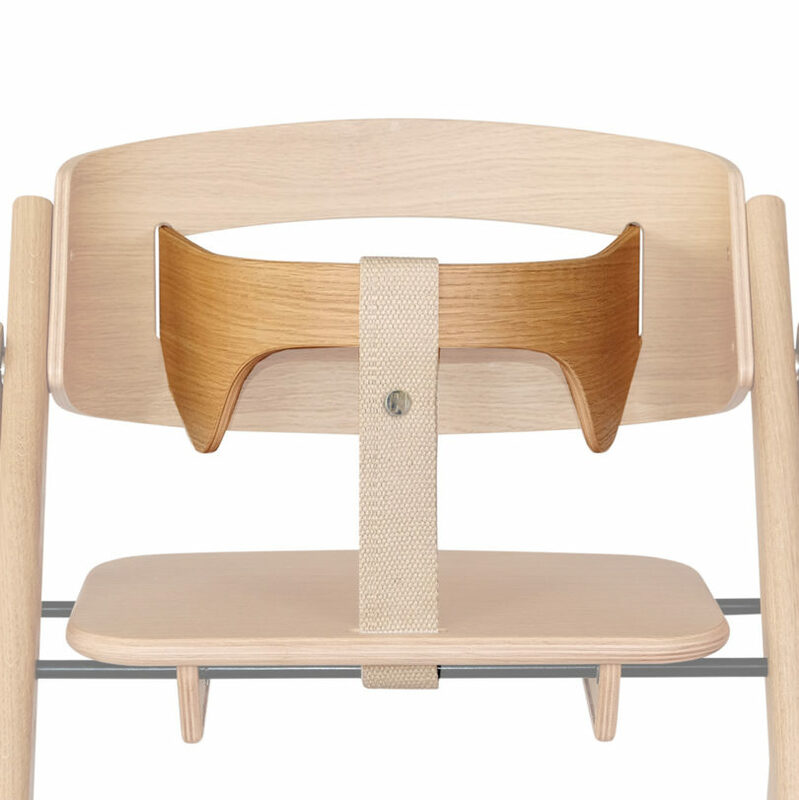 Nearly five years later, the Klapp is undergoing production to start shipping in November. 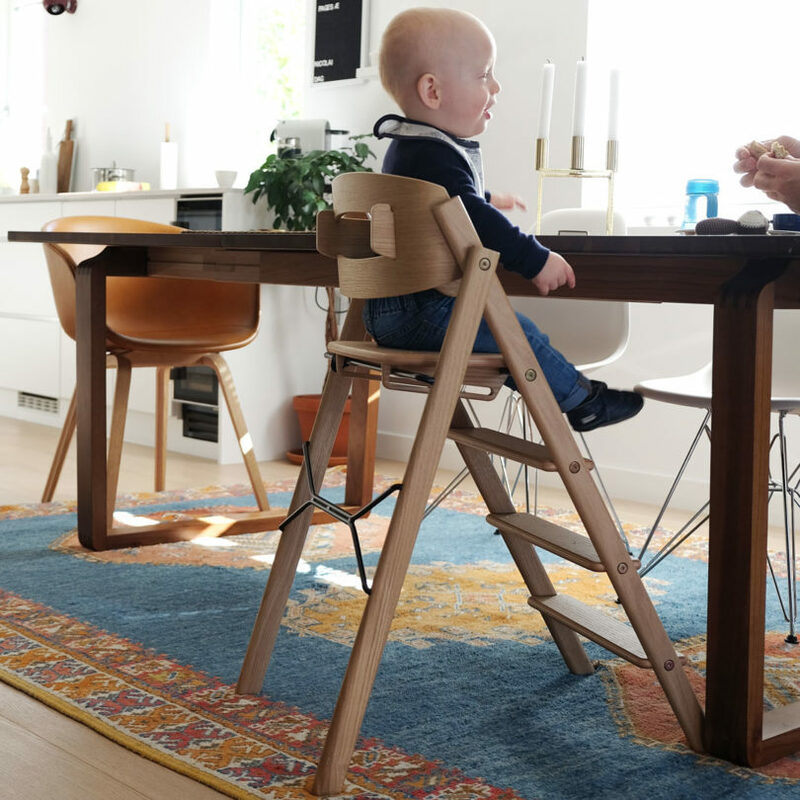 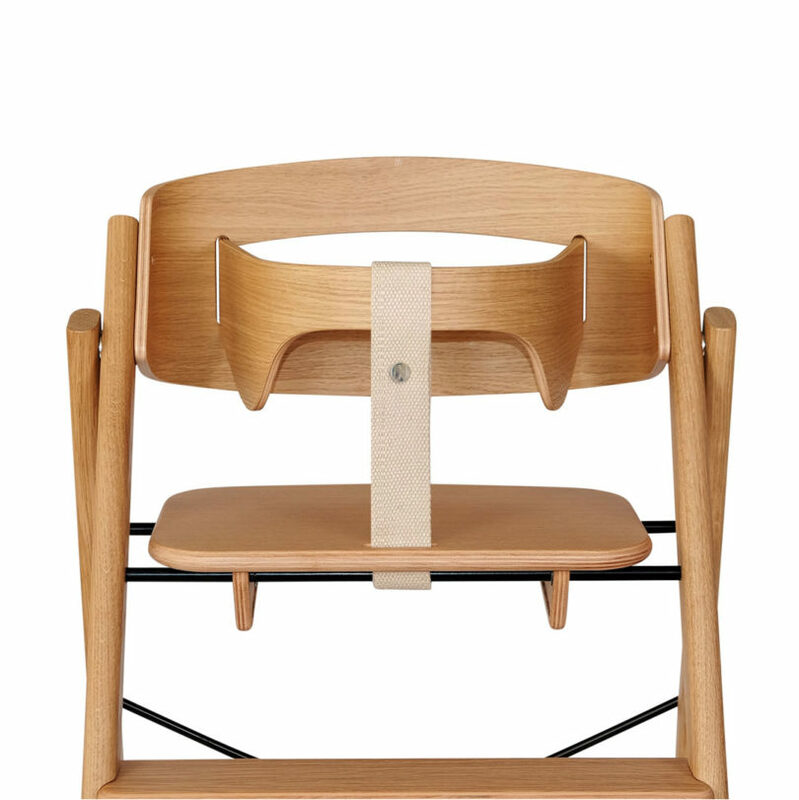 You can preorder the Klapp High Chair here.